I actually really LOVE spring cleaning. There’s nothing better than the sun coming out, kids finally leaving the house after months of being trapped inside, and you opening the windows for some fresh air. And then getting to work! I love going through all the piles of stuff, decluttering, getting rid of things. I love putting away the winter gear which is just so bulky and takes up so much space. I love getting organized! I don’t do it much in the winter because let’s face it, you just want to sit in your warm bed and watch Netflix for hours. You don’t care about the dusty basement or even your kids’ super clutter closets. But for some reason, once that sun comes out and the weather is finally warm enough to ditch the parka and put on a light jacket, don’t you get that feeling to purge? The light streams in your house and reveals all the dust left on the baseboards and everywhere else. I am always so excited about it. 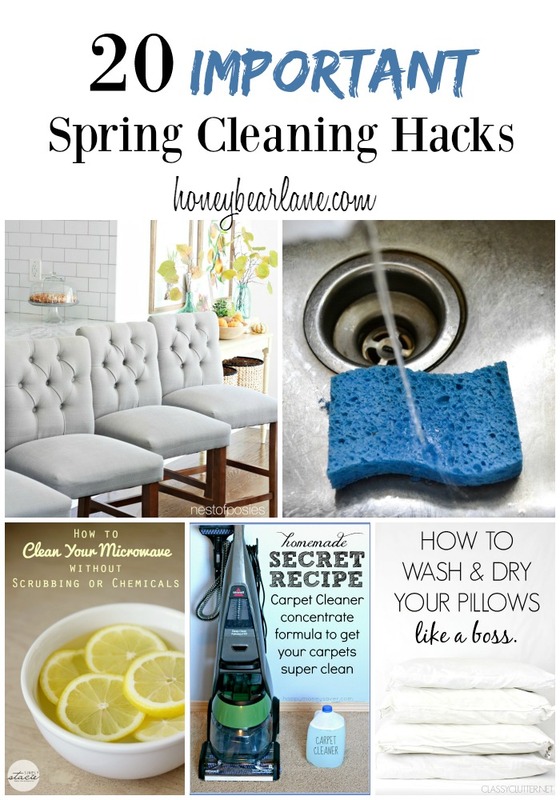 Here is a list of spring cleaning hacks that will make your spring cleaning go by faster and last longer!